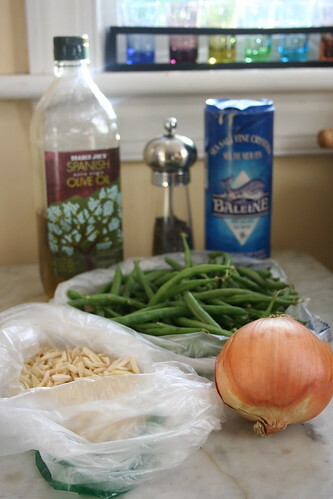 While this recipe isn’t quite a redux, it is a new and delicious take on the traditional green bean casserole. 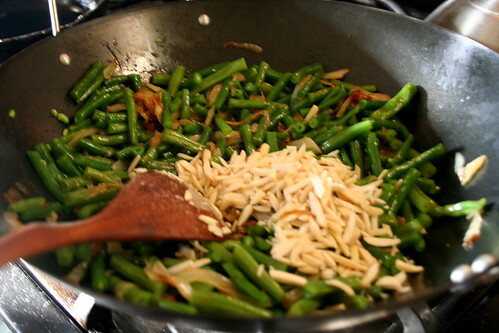 If you’re in the market for a more traditional recipe, by the way, I would go check out Susan V’s amazing green bean casserole over on FatFree Vegan Kitchen. 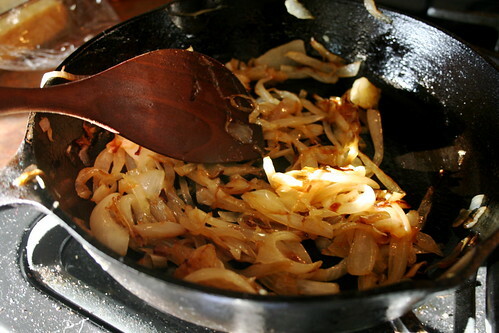 Given that my interest is in the easy-to-make (aka “lazy”) category of cooking, the recipe below is a new take on the creamy, fried onion topped casserole. 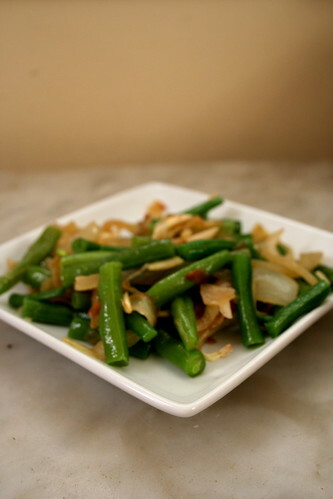 This simple recipe calls for three main ingredients: green beans, onions, almonds. Even the onions you probably already have on on hand. Cheap, quick and easy, and utterly delectable, everyone at your Thanksgiving table will fall in love with this dish. 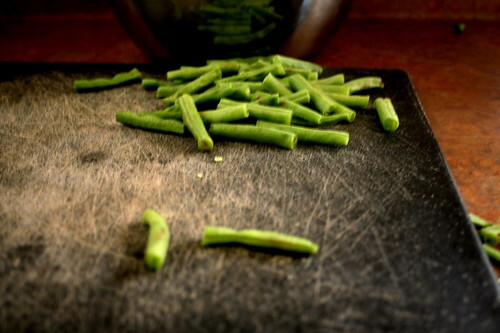 Meanwhile, rinse the green beans, chop off the ends and slice into equal bite-sized pieces. Bring a pot of water to a boil. 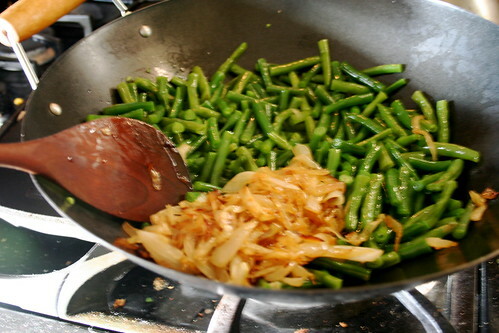 Pour in the green beans to the boiling water and blanch for 3 minutes. After 3 minutes, immediately remove from heat, drain, and pour beans into a bowl of ice water. 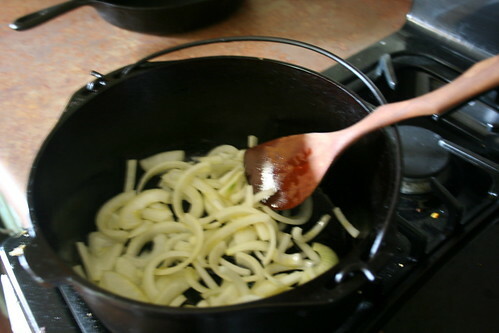 This will stop the beans from cooking and leave them firm, but cooked. 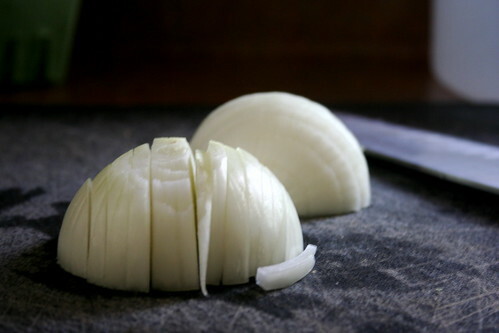 After 45 minutes, your onions should looks like this. 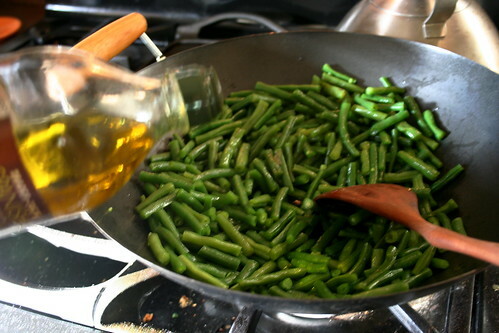 Add the remaining tablespoon of olive oil to a wok or large sauce pan along with the green beans. Add salt and pepper to taste. Saute for 3 minutes. Saute for one minute more, then serve!